- Welfare aloud only if you use one rare item. - Not aloud to join another clan. - Never flame on forums. - Never disrecpect staff members. - Never disrecpect clan members. - Do not post on any other clan threads, no matter what the reason. - Obay all higher ranked members. - Help one and other out. - Active on forums and in game. There are no requirements to join. 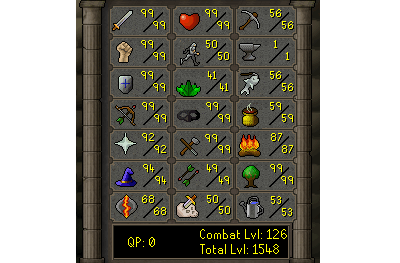 You can be a pure, tanker, zerker, maxed out anything you can still join. The only requirment is that you have to be level 50+ combat. In game name: King detroit. Do you agree to follow the rules of lost pkz: I agree. Do you agree to follow the rules of the indulged pkers clan: I agree. Do you agree to be active in game and on forums: I agree. Would you like to buy V.I.P for 100m: Yes. For the V.I.P rank you must pay 100m to get that rank. This rank has special rights. No one can boss you around if they are not founder or co-founder, but if one of the higher ranked members also pay to be V.I.P They have the right to boss you around. For now i have only made these sigs. Put one or all in your sig if you have joined the clan. The only people that are aloud to accept aplications are me or xix. When you get accepted into the clan add king detroit in game and on forums, and add xix in game.